This is a job I had to put right this summer. A custom made loft hatch. This was after removing some plain shelves. Somehow they ended up removing the paint from the walls and left some big holes to fill. These were not the worse of the sills he fitted. He only worked weekends and evenings and his dad helped him along. 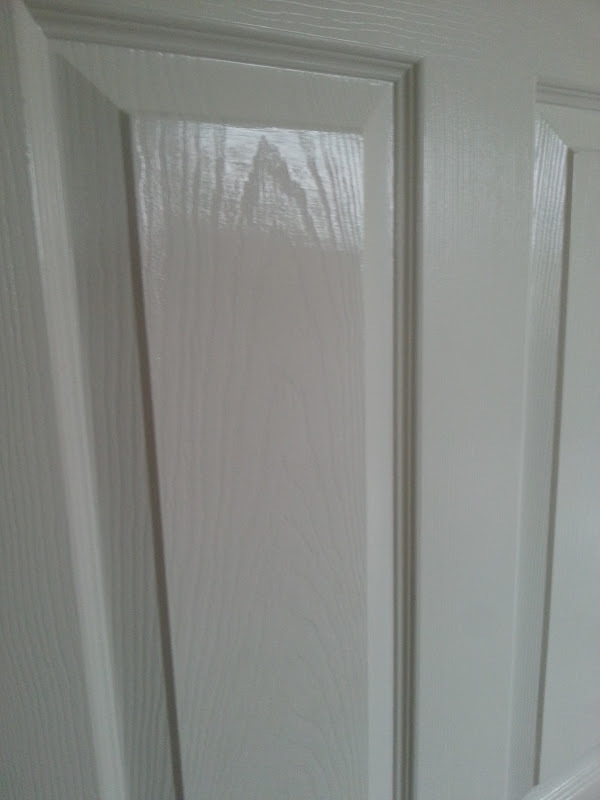 He took the tiles in the kitchen and "replastered" the walls with three coats of Polyfilla. When he sanded there was a layer of dust in most of the ground floor. Just happy I put curtains up in doorways when I realised what he was doing. No wonder the Eastern Europeans are taking over! Felt I could probably add to this thread with a disaster job that we did for a London Borough Council earlier in the year. It was six new build townhouses, and the work from every other trade was an absolute joke. The plasterers actually got slung off the job, because their work was so abismal, before they had finished and we were left to pick up the pieces. Also the carpentry was unbelievably bad, our bill for making good and repairing everyone elses crap work more than doubled the original contract value which, by some miracle, was paid in full!! I have only put up a few of the pictures (I have hundreds!!!) from which you can see how poor the work is. Blimey! they really are shocking, please tell me they was done by jonny foreigner, I'm doing some work for Berkley supposedly high end builds, african dry liners how they can call themselves tradesman is beyond me. That is animal!!! How is it allowed to go on? They deserve to be named and shamed across the whole construction industry and on telly for turning out rubbish such as that. 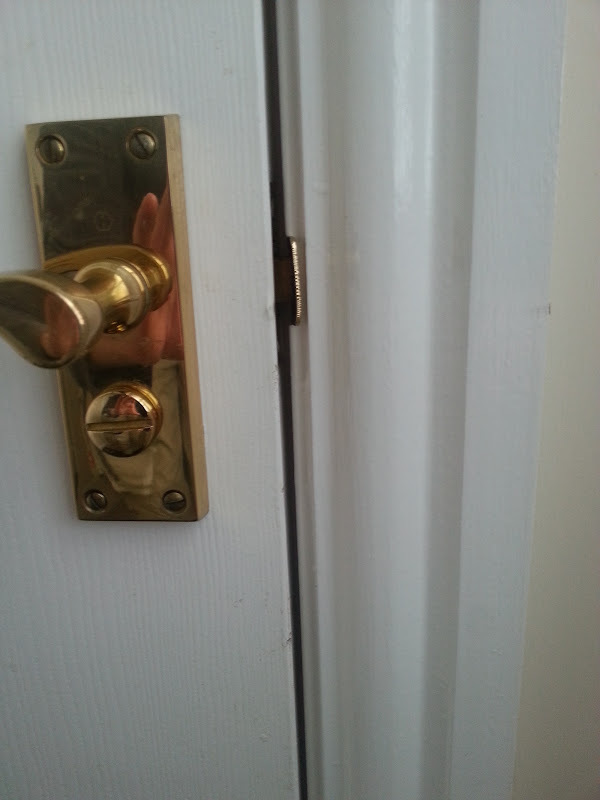 Cheers for sharing and what a post to return with, Mr. H.
It wouldn't be very professional of me to name the contractor but they are reasonably well known, I had never seen anything near this bad before and hope not to again. It should have been stopped way before it got to us but we fixed most of it and it got swept under the carpet. Ssssh! That just made me cross my legs!! 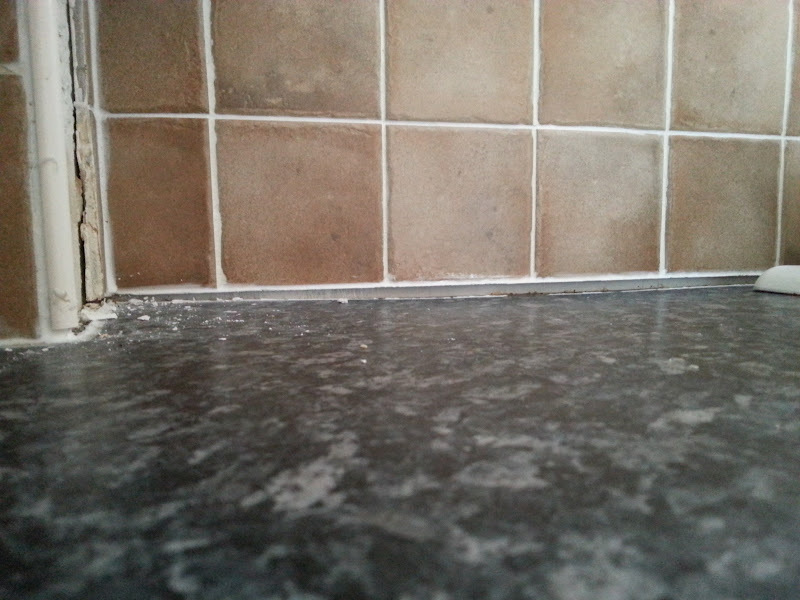 Some tiles were falling off a boxed-in section in the kitchen and on investigating why they were falling off I noticed the silicone between the worktop and bottom edge of the tiles had failed and there was now a large gap. On grabbing hold of the front edge of the work top I could easily lift it up and down. Underneath this section there was a freestanding washing machine and dishwasher. 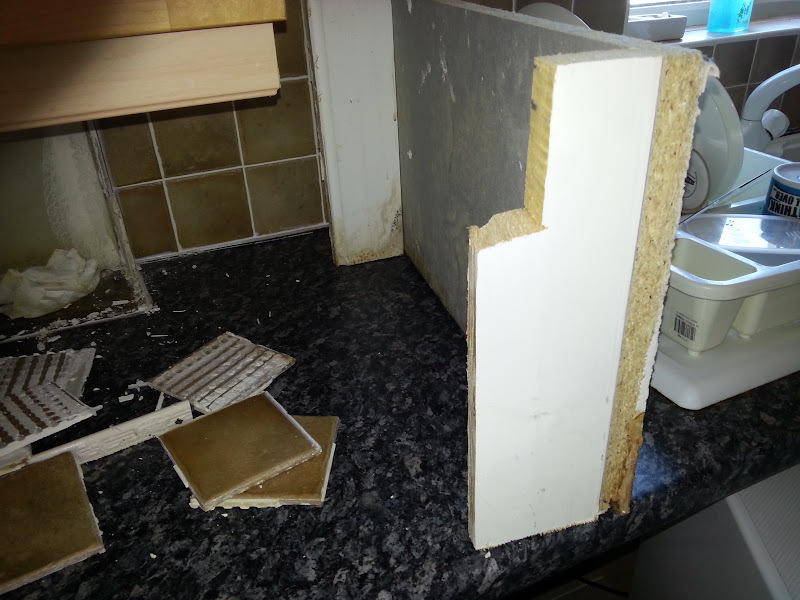 There was no support for the whole length of worktop covering the two appliances Not one bit of batten to support it (apart from at the very end). The boxed-in section was not even fixed to anything and relied on silicone to hold it all in place. I think all builders should be banned from buying Expanding Foam, PVA and Silcone. They know Jack Schitt on where, how or why to use them. Terrible isn't it. Although it did give them somewhere to lock the JCBs and dumpers away of a night time.